September is a new month, and that brings us a new challenge hostess. Karen, from the Design Team, will be your hostess this month. This week is a colour challenge. We hope to see you play along! Rainbows are my favorite color! With the graphic above, my intent was to show that you could do any value: pastel, bright, or jewel. I'm also looking forward to seeing all the ways you can interpret this "color". 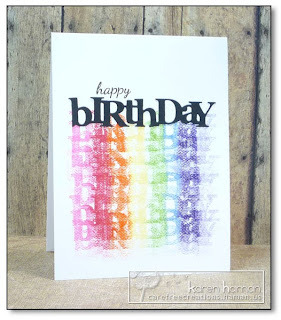 As long as the card has 5 or more different colors, it counts! 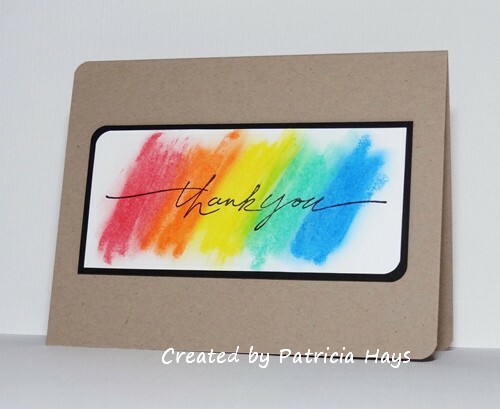 The colors don't have to be arranged like a rainbow, you can just use lots of colors on the card. I hope this makes sense, but if not, feel free to ask question in the comments! You must create a card - sorry no scrapbook pages, tags or 3D projects etc. You must use stamping on your cards. 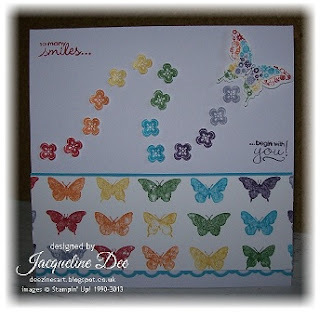 Oh this makes me smile :D I love your colourful cards. Beautiful work by the design team...!